Made from sound absorbing materials, our soundproof blankets and curtains offer an alternative to more costly solutions, are portable, and are easy to install. 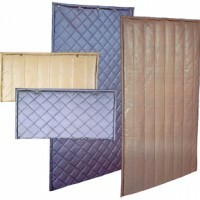 Sound proof curtains are available in a variety of forms. 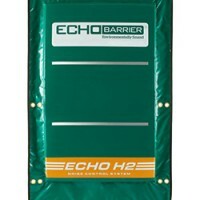 We supply portable acoustical enclosures and screens with a core of foam or fiberglass faced with aluminized or polyester fabric that are ideal for machinery and work area enclosures indoors or out. 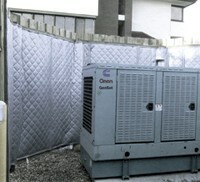 Easy set-up around noisy areas make these ideal solutions for unusual conditions where other types of sound barriers wouldn’t work as well. For indoor applications, custom made decorative curtains, constructed with a core material of naturally fire resistant wool fabric, offer a higher degree of sound absorption than traditional curtains. Sound blankets are most commonly used to absorb and block sound from outdoor equipment or machinery but are also highly effective as a wrapping around structural elements in buildings. Constructed with a fiberglass core and a facing made from vinyl or flame-proof foil, sound blankets keep the noise level down for a more peaceful and efficient environment. 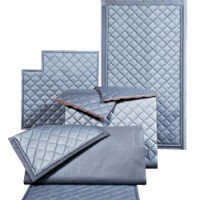 Sound blankets are used throughout commercial and industrial applications. The above products are just a sampling of our many varieties of Curtains & Sound Blankets. Contact us today to learn more.